These are the first in one of my newest ventures here at Garden Dreams Decor. Each flower is made out of steel! Hand molded and painted as close to nature's beauty as I can get them! 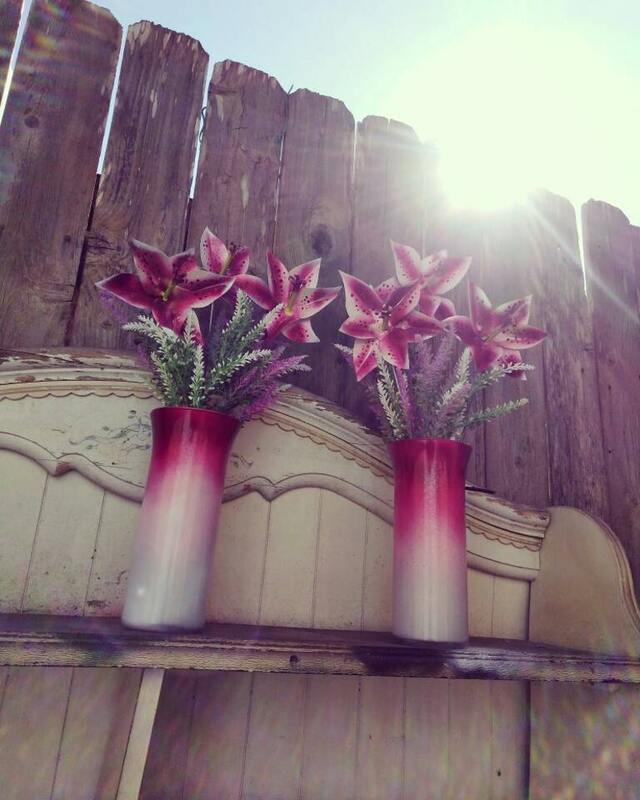 This listing is for a set of 3 pink Stargazer lillies with added greenery and hand painted vase. Perfect gift for Valentine's day! A beautiful sparkling lily flower arrangement that will last! Other flower options coming soon! If you'd like to request your own mini metal flower, just let me know! I'd love to create something new for you!